The Sonoma Skies collection by Tacori presents this sumptuous pair of earrings. Set in sterling silver baskets with milgrain detailing, drops of amethyst dangle beautifully from French wires to create this stunning set of earrings. 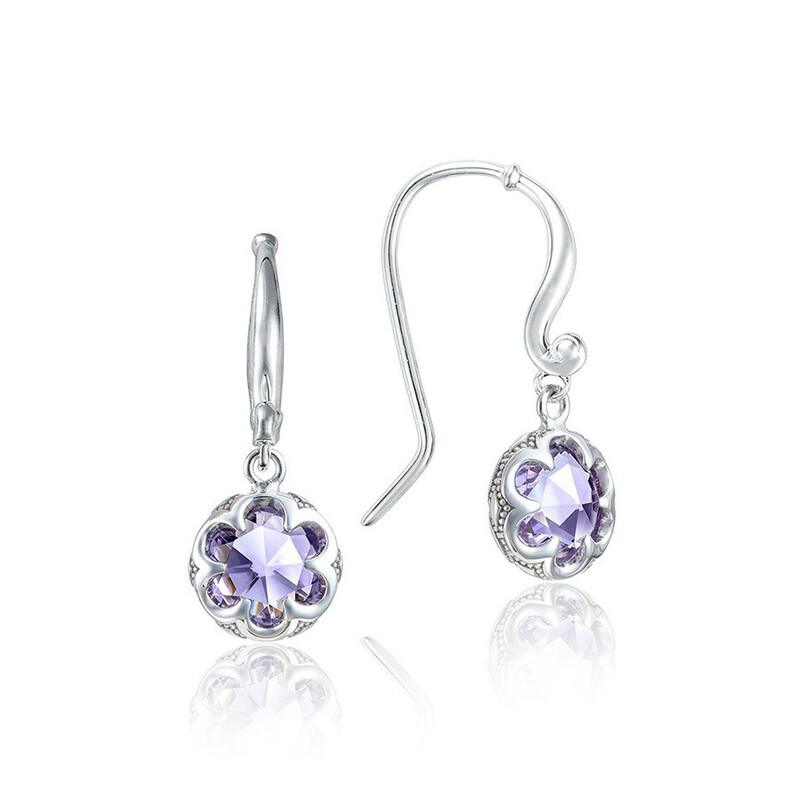 Simplistic, yet passionately purple, these Tacori earrings are resplendent in their beauty.